Thoroughly modern with a hint of retro. 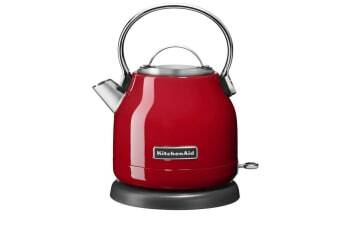 This compact little kettle adds oodles of style to your kitchen and brings water to a boil with quiet efficiency. This great-looking kettle makes it easy to enjoy that perfect cup of tea, hot chocolate and more whenever you wish, thanks to the 1850-2200W of power that brings water to a rapid boil. Your whole family dropped by for tea? No sweat! 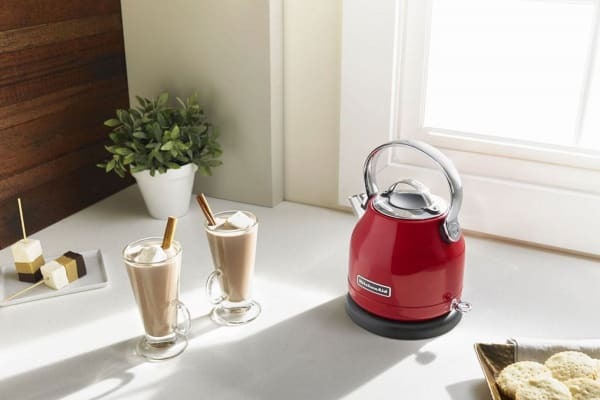 the KitchenAid KEK1222 Electric Kettle has a big 1.25L jug that lets you serve everyone that perfect cuppa in no time at all!